Martinez started as an importer of port into London over two hundred years ago, peaking in 1849 as the largest importer to the UK. Harvey's of Bristol then acquired the company and it is now a minnow in Allied-Domecq's portfolio. They made a very successful wine in the very fine, universally declared, 1994 vintage and it is good to see so historic a name back in business. 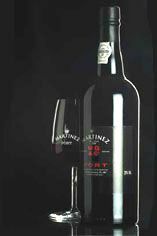 Martinez started as an importer of port into London over 200 years ago, peaking in 1849 as the largest importer to the UK. Harvey's of Bristol then acquired the company and it is now a minnow in Allied-Domecq's portfolio. They made a very successful wine in the very fine, universally declared, 1994 vintage and it is good to see such an historic name back in business. Rather than maturing their wines in Vila Nova da Gaia, Martinez keeps their casks for as long as possible in the heady temperatures of the Upper Douro. 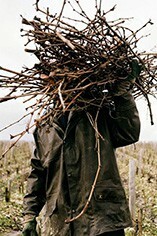 As a result, the wines can be distinctive and idiosyncratic, full-bodied and rich. From the attractive burnt nose to the palate, which marries raisin and cherry flavours, this wine oozes class and potential. Drink now to 2020.